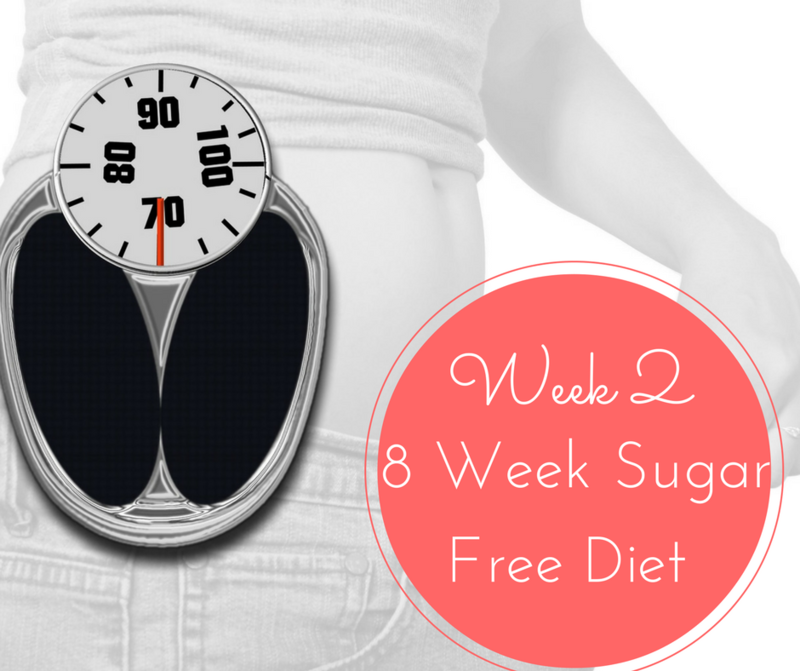 On 9th January we started on a new way of eating (WOE) we are following the 8 week Sugar Free Diet. This has been medically proven to help people with Type 2 Diabetes and various other life threatening conditions. Neither of us have diabetes, however we are extremely bad with the high sugar diet and with ever increasing waistlines, it was time that we needed to change things, and this a great way of shifting excess weight to get you into a healthier way of living and eating. Minimise or avoid the ‘white stuff’ bread, potatoes, pasta, rice, processed cereals, all refined and starchy carbohydrates which rapidly turn to sugars in the blood. All of this for the first 8 weeks and controlling the calories to 800 per day. Each person has their preferred way of consuming 800 calories per day, 1 meal, 2 meals or 3 meals per day, you should try not to snack as this can cause blood sugar spikes (insulin) and of course this is the reason for the types of foods that should be eaten and those not. In addition you should aim to drink a minimum of 2 ltrs of water per day, 3 ltrs if you can manage it, so get drinking. and the recipe book, this has lots of nice recipes, although not are all completely suitable for the first 8 weeks, so my advice is to focus on the recipes in the first book for the first couple of weeks until you understand the principals then you will know what is good and whats not. So on with our progress, Week 2 and we are feeling great. However we did have a little lapse at the end of week 1 as we had some friends round for aperos and there was a few food items that were just too tempting and of course some alcohol, although I did not have any, it was just too tempting for my hubby. So we start the week with a drop for me and an increase for hubby. My loss from week 1 = 1.9kg and for hubby 5kg, a great success as far as we were concerned. Week 2 and we were raring to go. This post has taken more time than I had planned to write as I have been looking to get as many references to help others as I can, which has hindered my progress with my writing, so I have decided to just get the details of our progress for this week and then come back to the reference and information. I will build the links as I go. Monday morning we were back on the scales and it was 1.9 kg drop for me and 5kg drop for hubby, great progress in week 1. Breakfast was leftovers from the Aperos on sunday, although good leftovers, roasted tomatoes, crustless quiche and a couple of pork balls, all calculated at 141 calories, lunch was a nice piece of chicken breast with lime and coriander (I do love coriander) – 257 calories and evening meal was a quick prawn curry with cauliflower couscous 392 calories. The total for Monday was 790 calories. I real revelation is cauliflower and its uses on this diet. Tuesday started well, no hunger and keeping up the water intake, really important on this diet, the recommendation is 2 ltrs per day, but if you can manage 3 then even better. So breakfast was scrambled eggs with mushrooms and tomatoes, delicious and only 176 calories, lunch was beef meatballs with a tomato ragu – 395 calories and dinner was mushroom bourgignon – 223 calories, with the total for Tuesday coming to 794, no complaints for this. Wednesday and we enjoyed a couple of poached eggs with a half of avocado for breakfast, calorie count was 188, lunch was a tuna salad coming in at 239 calories and dinner was a Carbonara at 250 calories as this was with courgetti rather than pasta which makes all the difference. I don’t cook the courgetti as it is nice and thin and the heat off of the sauce is usually enough to soften it slightly, what you dont want is soggy courgetti. The total for Wednesday was 677 calories. Thursday I realised that I needed to increase our fat content, I was being very careful with the fat numbers and was hindering our weight loss as you do need fat (good fat) to help you burn fat. So Thursday we started with a mushroom omelette 145 calories, lunch was butternut squash soup, with a healthy dollop of creme fraiche added – 238 calories and dinner was a chicken stir-fry, no noodles or rice so it came in at 260 calories. Total for Thursday was 640, still too low for our target of 800 calories per day. Friday I decided that I was going to try a nice breakfast of Greek yogurt, a chopped apple and crushed hazelnuts, calorie count was 193 and it was delicious, I was really satisfied, didn’t feel hungry and enjoyed it. Not to say I hadn’t enjoyed any of the previous breakfast, but this was really yummy. Lunch was Chicken, butter bean and walnut salad, I got the recipe from one of the books, I was a bit wary of using the beans, but they are allowed on this diet as long as you have the calories, this came in at 260 calories for me, dinner was Pork & Parmesan, with lots of veggies, 280 calories, 740 for the day. Saturday started with my yogurt and apple as for Friday and then we headed out shopping, we had some food shopping to do and also we were re-designing one of the showers in the bedrooms, so it was a trip to the diy store. A walk around the DIY store and then we spotted a new fruit and veg shop, so we went in there to see what they had. Their produce was lovely, some fantastic apples and the selection of vegetables was great, however the price of courgettes would make your eyes water . I had seen quite a lot of comments on the facebook page about courgettes and their limited availability. Seems there is a world wide shortage and if you can get them, then the prices are ridiculous, we decided to see if we could find any at a better price, closer to home. They also had some really nice nuts, so we bought some assorted nuts and that was our lunch in the car. Off to the Bio-coop to see if we could find some coconut butter although I had had some delivered from Amazon along with some coconut flour and psyllium husks, I had seen a recipe from Tom Kerridge that used them, so they are now in the cupboard waiting to be used. I really wanted to find Hallumi cheese and cottage cheese, hence our visit to the Bio-coop, but no, nothing there either. Not easy to find them in France. Then it was home and dinner was Cauliflower Crust Pizza and salad. An experiment that i wanted to try and it was a great success, both of us really enjoyed it and there was nothing about missing real bread for this. Definitely worth the effort, to be honest no more effort than making pizza dough from scratch. The pizza came in at 350 calories and then with the salad a little bit more. Sunday was a nice day, the sun was shining and we decided to have a quite day at home and to take Margot our puppy out of a walk. It would be her first time out walking on a lead, that was going to be fun (ha ha). Breakfast was eggs, bacon, mushrooms and tomatoes, 390 calories and lunch was cold meat, cheese, pickles and salad 270 calories, then we headed out with Margot and home for Turkey dinner with some green veggies coming in at 260. Today was over the 800 calories – 920 to be exact and with some of the previous days being under, it was balanced out over the week. This was turning out to be easier than I had thought. So the results for the week were variable, I managed to lose 1.5 kg, however there was only a 400g drop for hubby and he was not a happy chappy. I knew it was going to be a struggle keeping him on track for the next 6 weeks, if he is not seeing any benefits on the scales he will just though in the towel. So results for the 2 weeks me – 3.4 kgs and hubby 5.4 kgs. The food is great and there is no instances of feeling hungry, the issue for hubby is that he enjoys a glass of wine with his dinner, and of course this is not an option with only 800 calories per day. He has agreed to continue for another week to see if there is any progress, the one thing that did give him food for thought was that he went down another hole in his belt, so we are at number 4 now and he has not been there for a long time. Although we didn’t know this little snippet of info before the end of week 2, ibuprofen causes you to retain water and hubby had slipped on the Sunday of week 1 and hurt his leg and back so he had been taking ibuprofen all week, therefore at least we had an answer to the lack of weight loss and a way forward. I use MyFitnessFriend to build the recipes and calculate the calories for them, it has a very extensive library of foods. Its free and really useful.